Lots of Japanese decor. Waitresses wearing kimonos. 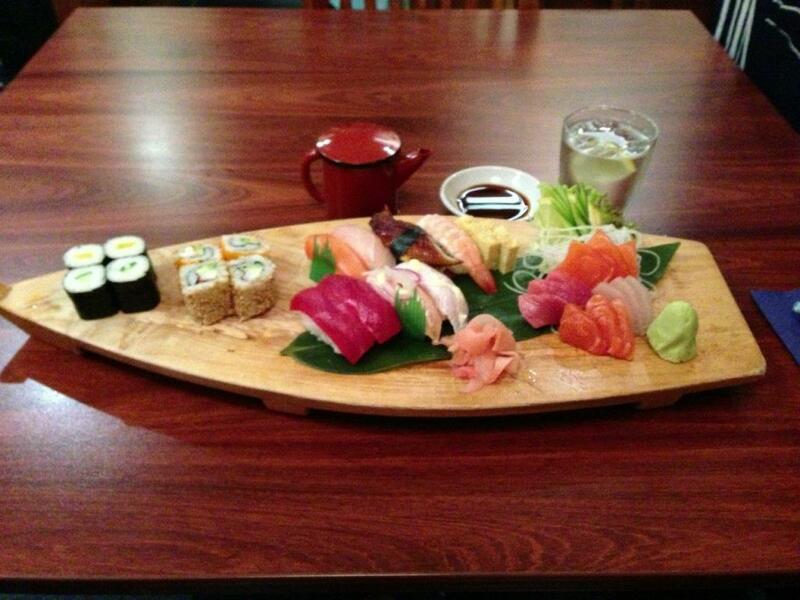 Selection of sushi and sashimi. If you like sushi, which I mostly do, this was the perfect example of it. The fish was smooth and fresh, and the million different little feeds had their own flavouring. The nicest was actually the little slivers of egg. This dish was so interesting and well-done that I won’t mark it down for the awful piece of mushy eel I ate. I assumed it was sea urchin or some other filth. This was rather unusual. Three of the four components had incongruous savoury tastes or textures. The waffle was like a big chewy pancake, with a light burnty taste, but its innards were like mashed up lentils. These innards were slightly sweet, but still far too savoury, and with a grainy taste you’d expect from lentils. 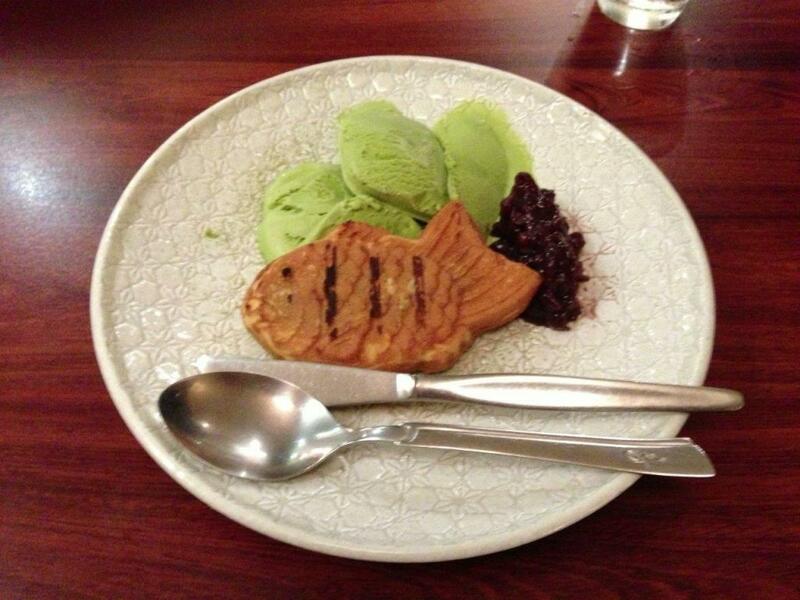 The red beans were sweeter and smoother, but didn’t really go with the already-beany waffle or the ice cream. The ice cream itself contained a much finer graininess tasteable at the end of each mouthful.